This graphic represents a possible model for mechanisms that could generate the water vapor and tiny ice particles detected by Cassini over the southern polar terrain on Enceladus. 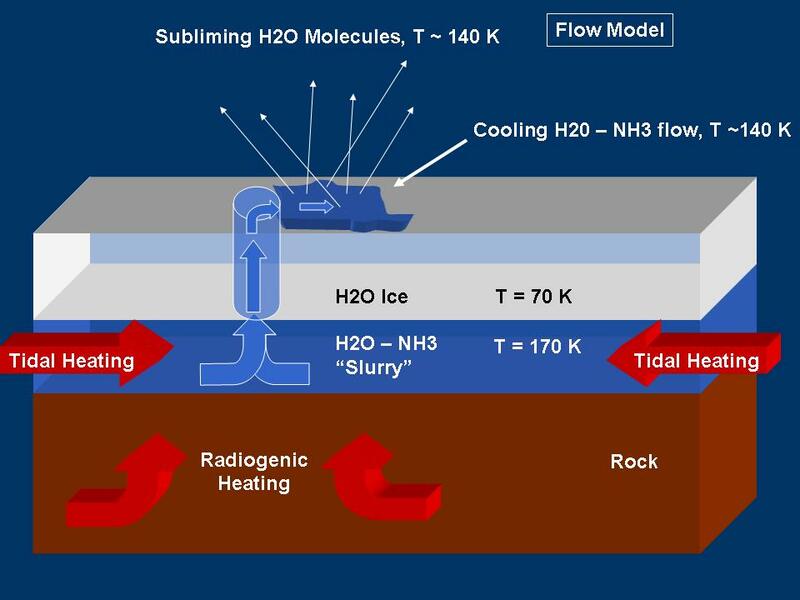 This model shows sublimation of an ammonia-water "slush" or "slurry" on the surface. Sublimation is to cause to change directly from a solid to a gas, or from a gas to a solid, without becoming a liquid. For other models being considered by scientists, see also PIA07725 and PIA07726 .